That change is the only constant is one of my least favorite aphorisms. 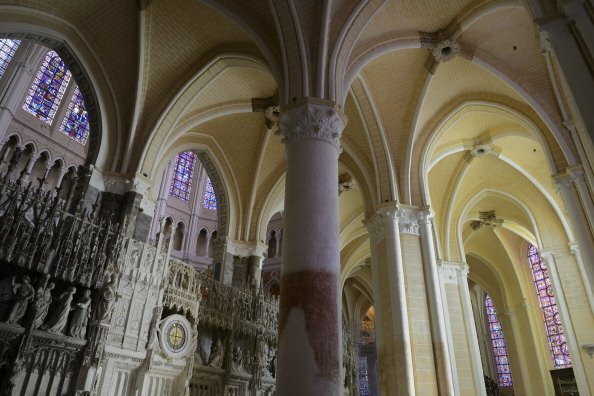 And it is among the least inimical of lessons to be drawn from the ongoing “restoration” of Chartres Cathedral, off the west coast of France. The job arguably restores one of the world’s great works of art and architecture to its supposed original look, but the result is bathed in a level of artificial lighting that would never have been experienced by its original users. The work bears the mark of modernism’s quintessential attitude of change for the sake of change – and to hell with l’art pour l’art! Whenever and however Chartres’s Black Madonna acquired its mysterious patina — through oxidation or smoke from candles and incense — it was familiar as such to centuries of the faithful until its recent multicolored makeover, which has transformed the Mother of God into a simpering kewpie doll. This appalling project should be of concern to all, but in particular it highlights the flaws of current preservationist orthodoxy. It buys into the same modernist ethos that heaps vast expenditures on cultural institutions. Great museums have been turned into circuses that appeal to those with little genuine interest in cultural artifacts, including additions erected in order to exhibit the egos of deep-pocket money bags whose donations pay for the work but serve mainly as excuses to further degrade institutions, further inflate the already inflated staff and salary of administrators, and raise the cost of admission. Truly necessary upgrades are drowned in a cesspool of money. It is the “popularization” of culture to benefit the one percent. It is change for the sake of change. Modern architecture has been the brand of this ethos for years. If you can’t put an ugly, arrogant addition on Chartres, then at least you can reinterpret, reconceptualize and discombobulate the experience of millions who visit, whether as tourists or congregants. Modernism has severed the connection between beauty and time. What results is propaganda and publicity. This is what is being done at (or to) Chartres. Filler ends by urging that the changes be reversed. I hope this is possible. Anger at the idea of skyscrapers in Paris should be matched by anger at the desecration of this monument, which is (or was) on my bucket list. 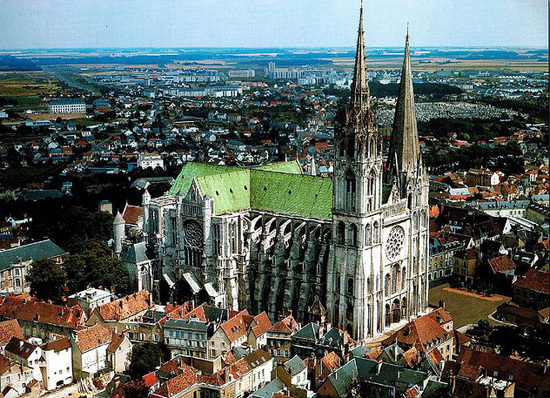 This entry was posted in Architecture, Architecture History, Other countries, Preservation and tagged Chartres, Churches, Martin Filler, New York Review of Books, Restoration. Bookmark the permalink.